Climbing up trees or sitting on shoulders? Africa has the youngest population in the world, with more than one-third of the population in Sub-Saharan Africa aged between 10 and 24. By 2025 the number of young people in this age group in the sub-region is expected to increase to 436, and to 605 million by 2050. For many, there is a dichotomy in how the future role played by this significant percentage of the continent’s population is seen: on the one hand, among the pessimists it is that of a ‘ticking time bomb’ waiting to explode; among the more optimistic, it is that of a generation of opportunity. “What an old man sees sitting down, a young man cannot see standing up” (from the Ibo ethnic group, Nigeria). “An old man sitting on a stool can see farther than a young man who has climbed a tree” (from the Kikuyu ethnic group, Kenya). Despite being the future of the continent, the young face multiple challenges, with many either unemployed or employed in low paid, often insecure jobs with minimal hope of advancement. If their needs are not addressed, they risk being a lost generation, whose talent and abilities would have been wasted. In 2009 African leaders met in Addis Ababa, Ethiopia, to try and defuse the threat posed by the youth unemployment time bomb, declaring 2009-18 the ‘African Youth Decade’ and promising to mobilize resources, including from the private sector. The World Bank proposed a jobs strategy paying more attention to rural development, with investment in agriculture, while in May 2012 the United Nations Development Programme released its first ever Africa Human Development Report in which it contended that a situation in which African governments spend more money on the military than on agriculture is unsustainable. Central to this agenda, and given the aging nature of those directly involved in production as well as the support areas of science, finance, and marketing, it is critical that the young are nurtured into the agricultural sector, retaining skills in rural areas that would otherwise have been lost by urban and international migration. 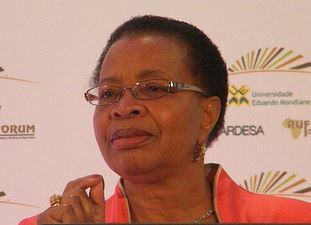 As an optimist, Mrs Machel sees the opportunity posed by the young and their potential contribution to the transformation of the agricultural sectors of African countries, a transformation that will entail two key elements: (i) the building of the science base, and (ii) ensuring the creation of value chains that enable farmers to access that science base and to be fairly rewarded for their labours. 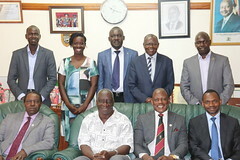 It is a model that has been championed by RUFORUM, with its students working in partnership with farmers, coupled by longer term, community-based development initiatives that seek to bind universities closer to their core stakeholders. It is the kind of thinking the continent needs. Instead of mocking those youth who struggle to climb trees to view what their elders can, perhaps those elders should help them sit on their shoulders to see better.